This is a fantastic hot sandwich. 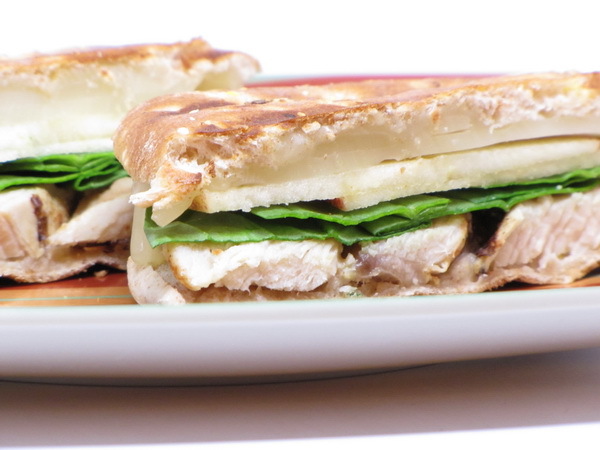 Apples and swiss just go together and they are here in this sandwich along with the chicken and spinach. Yummy ! If chicken is not cooked, cook in a skillet sprayed with Pam 5 minutes per side or until done. Spread inside of roll with mayo then add 1 slice of cheese, apples, chicken, spinach and the 2nd piece of cheese. Spray the outside of the sandwich with a few spritzes of butter spray and cook 2-3 minutes per side in a hot skillet or a total of 3-4 minutes in a Panini press.